Can someone explain the purpose of the 'teeth' seen in the last picture of this answer? Do they have a specific name? 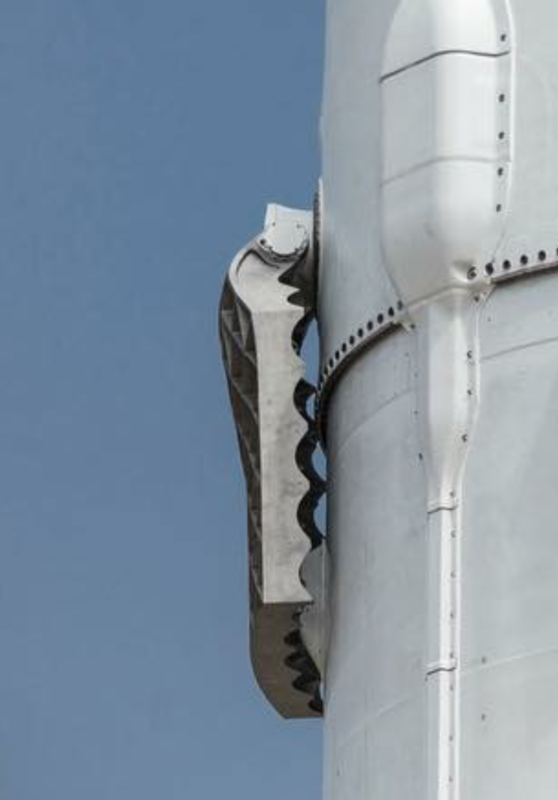 They look too far up to be used to grab anything since the rockets land vertically on their base. tl;dr - Better aerodynamics at high speeds. Novel High-Performance Grid Fins for Missile Control at High Speeds (PDF). The gained profit for the investigated realistic locally swept lattice wing configurations in comparison to the conventional ones in the zero-lift total drag amounts up to 38% and in the lift-to-drag ratio up to over 20%. The lowest zero-lift wave drag is shown by the lattice wing construction with the peak-type of locally swept lattice wings (LSLWp and LSLWp2). On the contrary, better lift-to-drag performance at wing incidence is shown by the valley-type of LSLW (LSLWv and LSLWv2). The effect of the LSE increases above all with the free stream Mach number, the local sweep angle, and the relative thickness of the members and the bluntness of their leading edges. It decreases with the incidence angle and for bigger relative tooth-sizes. Or, in non-scientific-paper-speak: The toothed grid fins are better than the flat grid fins as they have better zero-lift drag and a better lift-to-drag ratio. Essentially it's for the same reason fighter jets have a swept delta wing design. Not the answer you're looking for? Browse other questions tagged spacex falcon-9 landing grid-fins or ask your own question. Is the LC-40 SpaceX Transport/Erector updated for Falcon Heavy already? Could SpaceX start testing to return the Falcon 9 first stage to land instead of water? Will reusable rockets be financially viable? Does the downrange position of an ASDS vary, depending on payload mass?